Supporting over three dozen different charities and organizations, Road Scholar Transport’s awareness fleet has just gotten a little bigger, with the addition of our Ronald McDonald House awareness truck. Bradshaw learned about Road Scholar’s awareness campaign through a friend of their organization who introduced him to Jim Barrett, president of Road Scholar Transport. 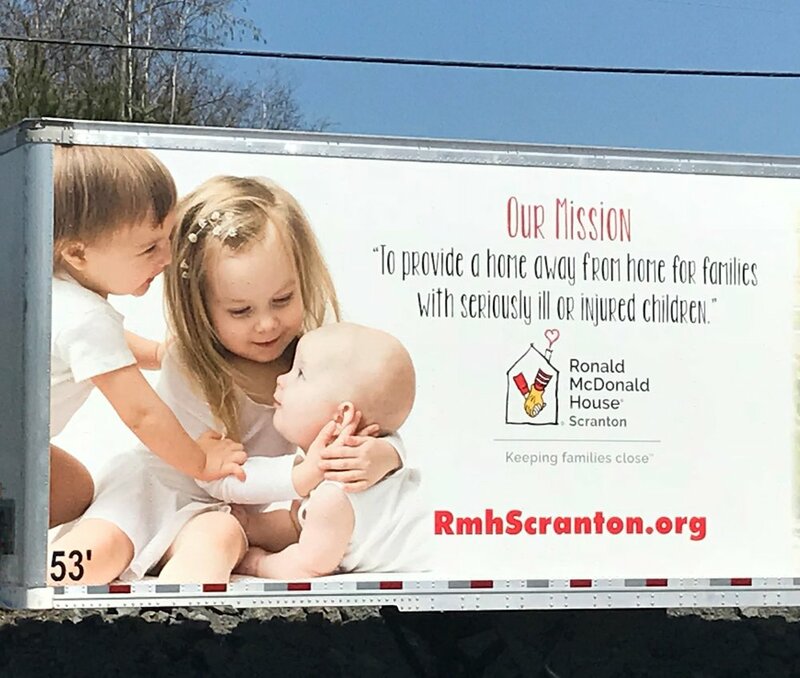 “At the end of our conversation, Jim was very excited to help share the mission of the Ronald McDonald House in Scranton and generously offered to provide this trailer,” said Bradshaw, who went on to explain how the design of the truck came about. You can help spread awareness by keeping our awareness trucks moving. Click here to request an LTL or truckload shipping rate and put your freight onboard our awareness fleet today. For more information on the Ronald McDonald House visit https://www.rmhc.org/.